A mottled grey sky hides an ambitious sun, peeking out here and there, revealing the proverbial silver linings to my nomad eyes. 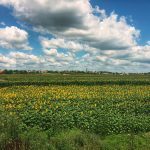 It’s cooler than usual here in Sofia, the end of a cold spell that has exposed me as the itinerant writer I am – a woman who’s spent the last 19 months chasing variations of summer is not one well-equipped to handle overnight lows of 1 degree Celsius. Brr. Considering my last blog post transpired during an eight-hour international train journey, it sorta says a lot about the amount of time I’ve had on my hands in the last 3.5 months. That was six countries ago. Too many miles, too many trains, too many planes, and far too many pain pills for a bad back. I turned 45 two days ago, just two days after the third anniversary of my going nomad, and 10 days after the second anniversary of my beloved pop’s death. It’s been a heady week for me, one filled with fatigue and wonderment. I’d be lying if I said I didn’t miss my old home, one similar to this – art deco, high ceilings, and an infinitely liveable neighbourhood. Ahh… to have a home again. 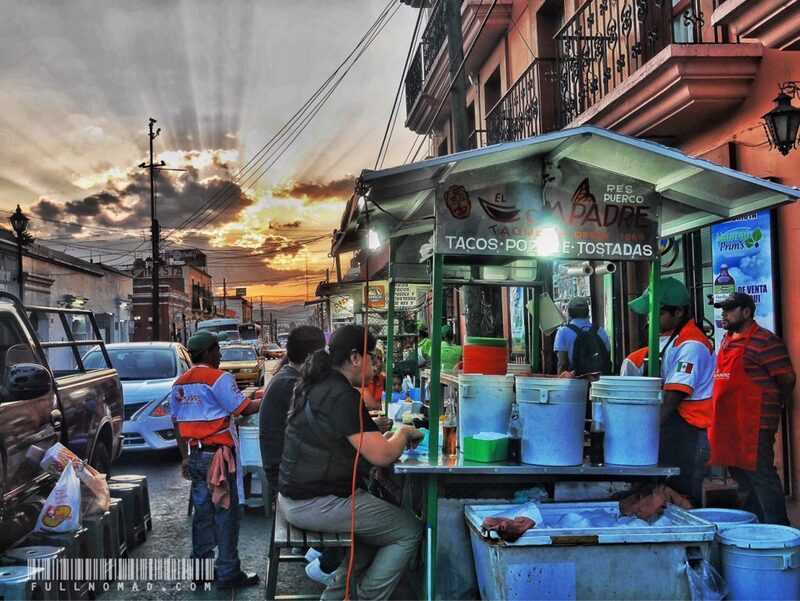 I’m homesick, but I’d also stab a granny for Mexican street food right now too. Someone on my social network is eyeballing buying a country spread nestled between the mountains of BC’s food basket, one with a shed. A quiet, simple place to write and be. Jealousy rises in me. Other friends are going through the machinations of life and love, preparing for Thanksgiving, lamenting the end of fun summers spent amongst each other making memories they can share collectively. The sacrifices of the nomad are many. There are times when I’m grateful to be older and wiser than many nomads – I understand both what I’ve forsaken and what I seek. I appreciate the alchemy of luck I’ve had; to be old enough to understand the value of this nomad dream I live, but young enough to harness the technology needed to live it. Just hanging out at Angkor Wat, as one does. But I’m a woman of 45 now, and I see people in love and the comfortable lives they have, filled with routine and security. A bed of their own with bedding they chose, a pillow they love. They have couches they don’t have to wonder who’s slept on or what’s happened on it. They don’t need to figure out how the stove cooks or count down until the shower’s hot water arrives, because these are simply things imprinted on them through routine. When other people dream of things they want, maybe it’s some of what I have. When I dream, it’s of a bed all my own, topped with $750 of comforter, good sheets, and dense, welcoming pillows. Tomorrow is my 1,100th day without a home. Ahead of me is another year of this, two more, even. I’m past the halfway point of my five-year goal. But now I’ll travel at a slower clip. I’m here in Sofia for another 6.5 weeks, long enough to catch my breath and re-find my inspiration, I hope. Then it’s a flight to Rome and a 12-hour train to Sicily, where it’ll be home for 6 weeks or so. Yes, I’m tired. Yes, I’m drained. Yes, I long for simplicity and homesteading. But then I stop and I take a breath and I remember. I remember what it’s like to be in the cave with a bunch of Turkish women doing like they’ve done for hundreds of years, making a community batch of gozleme bread to get them through the winter. Just like how I’ve pressed out tortillas with a Zapotec woman and cooked them like they have for 5,000 years over a fire in Oaxaca’s Tlacolula Valley, just before we toasted our own cacao beans and made me a brick of chocolate I made hot cocoa from for the next four months. I remember what it’s like to stand on a rooftop under a full moon as the call to prayer sounds out over the city below – which I’ve done in Taghazout, Morocco and Sarajevo, Bosnia and both Nar and Istanbul, Turkey. I know what it’s like to wander a street in Athens late at night and notice an excavation of 4,000 years of history at my feet, unannounced, and how it feels to glance up at the illuminated Acropolis and realize modern civilization was born on my horizon. 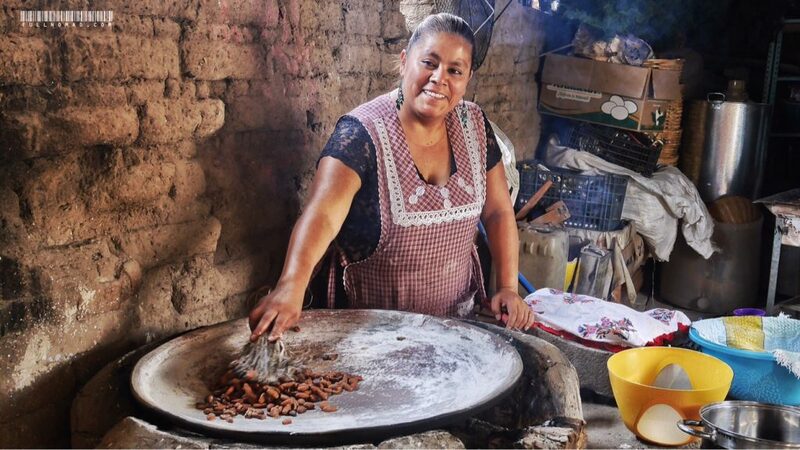 Luisa roasts cacao beans in Oaxaca’s Tlacolula Valley. For the next four months, I drank hot chocolate shaved off the block of chocolate we made from milling these together. I know what it’s like to negotiate to buy spices and vegetables from people who don’t know a word of my language. How different a strawberry grown on the edge of the Sahara tastes from one grown in my back yard. I know how a free-range steak tastes on the tiny islands of the Azores, floating haphazardly in the middle Atlantic, and what it’s like to stand on the shores of Capo da Roca outside of Colares, Portugal, 1,900 kilometres away, imagining how terrified and crazy those explorers must have been to set sail into the unknown more than 500 years ago. And the lost-at-sea immensity one feels standing on those Azorean shores looking back where the Portuguese motherland is. And I know what it’s like to reach the other side of the Atlantic, to stand on the shore by Peggy’s Cove Lighthouse, and how good a nearby Nova Scotian lobster tastes, steamed in a pot of Atlantic seawater, with nothing but butter to accompany it. 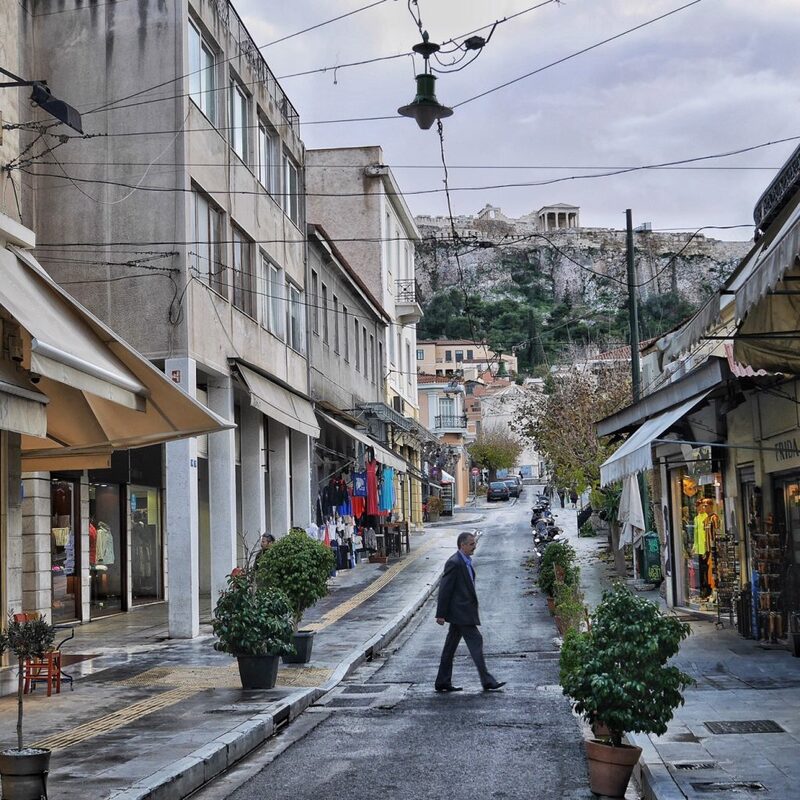 In Athens, I was more amazed with being able to be anywhere downtown and glance up and see the Acropolis towering over us, the birthplace of modern civilization, than I was in visiting the site itself. If I close my eyes, I can remember what it’s like to be still in a Scottish mist as a lone bagpiper bellows the wistful strains of the love theme from Braveheart along Edinburgh’s cobblestones on a chilly February night. And I can remember the cacophony of a summer eve in Mexico’s high plateau, with rolling thunder in the distance and soft crackling white thunder behind storm clouds on the horizon, over a city filled with scattered brass bands celebrating graduation as fireworks pop randomly, inspiring howls and barks from the city’s dogs. I know what a lime tastes like there, fresh off a tree. 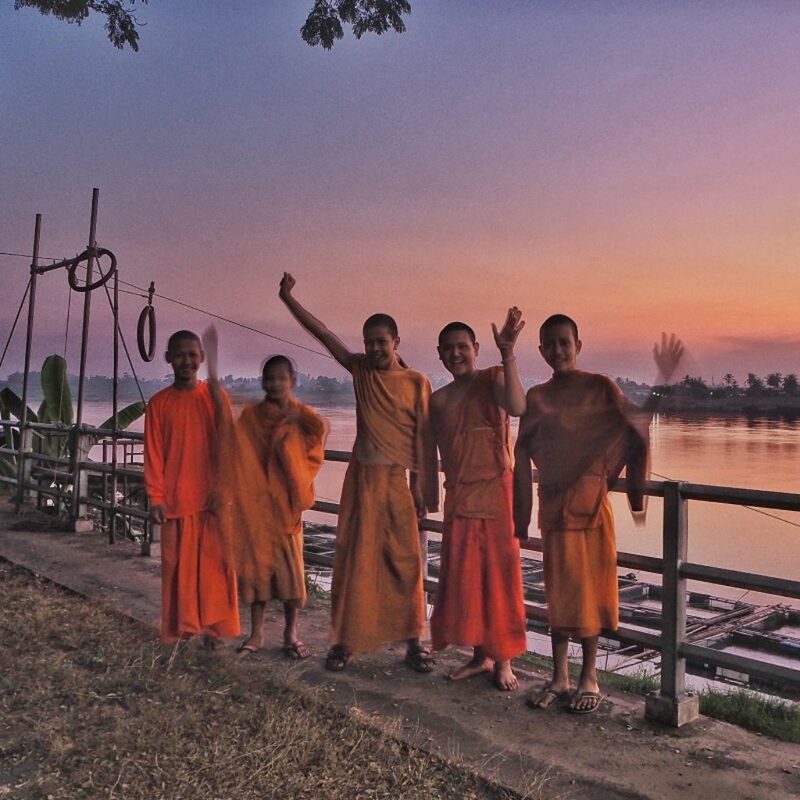 I’ve exchanged pleasantries with English-challenged teenage novice Buddhist monks on the banks of the Mekong River before returning to my rental home smack in the middle of a Thai lime- and mango-tree plantation as cotton-candy sunsets dapple atop one of the world’s great rivers. I’ve ridden a bike on the other side, along the Mekong banks in Vientianne, Laos, through a night market. 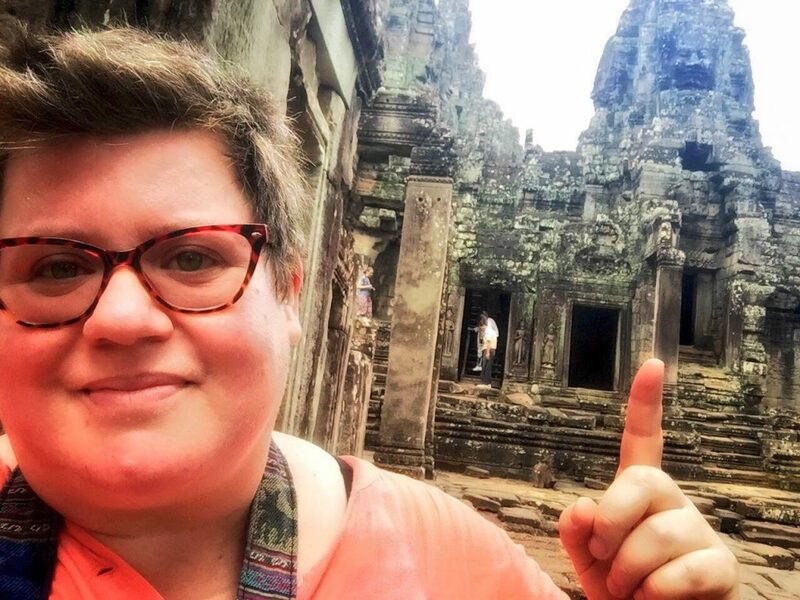 And I’ve gingerly stepped through ancient vines around Angkor Wat as the jungle’s humidity plasters my hair to my head and leaves my linen shirt hanging limply off my doughy body. I’ve heard CCR’s “Run Through the Jungle” crackling over a stereo as I’ve eaten curry in a bamboo-stilt shack over the Mekong. I’ve eaten white truffles in the hinterlands of Croatia, figs in Turkey, street tacos in Oaxaca and the Yucatan, coconuts in Cambodia, olives in Morocco, pasta in Italy, tapas in Spain, and perogies in Poland. Sometimes I feel like my life is a revolving door of rooms I don’t feel connected to, that I have no emotional resonance with, and then I realize that I may not have incredible, earth-shattering experiences on the regular, but you add them all up – all those small, fleeting moments – and suddenly my life is an amazing mosaic of experiences and knowledge one can’t have any other way than with feet on the ground in the places they unfold. 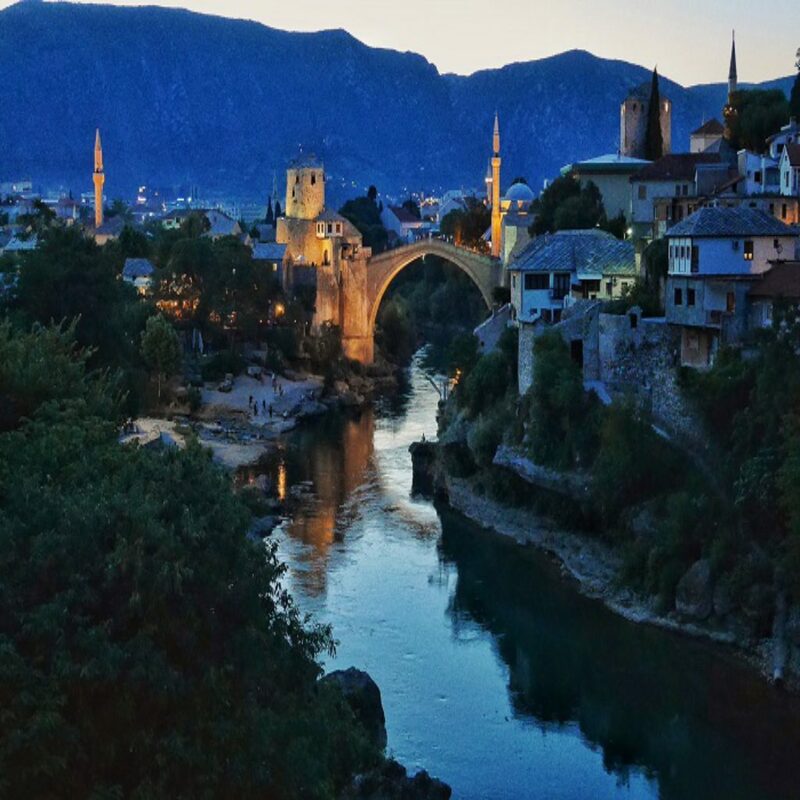 Mostar wasn’t just beautiful, it was a lesson in what hate can do, and what forgiveness, too, can do… but you need to be there to understand it, and that’s the power of travel. And then I remember something else, too – how hard it was to make this happen, how long I had to work for it, and how I may never, ever have this seemingly-endless experience of constant newness again, so I need to make it last as long as I can, and enjoy it as much as I can, while I can. But here, today, it’s just a chilly day in my boring domestic life in Sofia, Bulgaria, and it’s time for me to set this writing aside and get to work. For now, in this city, my life is entirely about taking the time to enjoy boredom, to sleep well, to cook, and to remember a few parts of myself that keep getting lost along the way in my litany of airport gates and train stations. 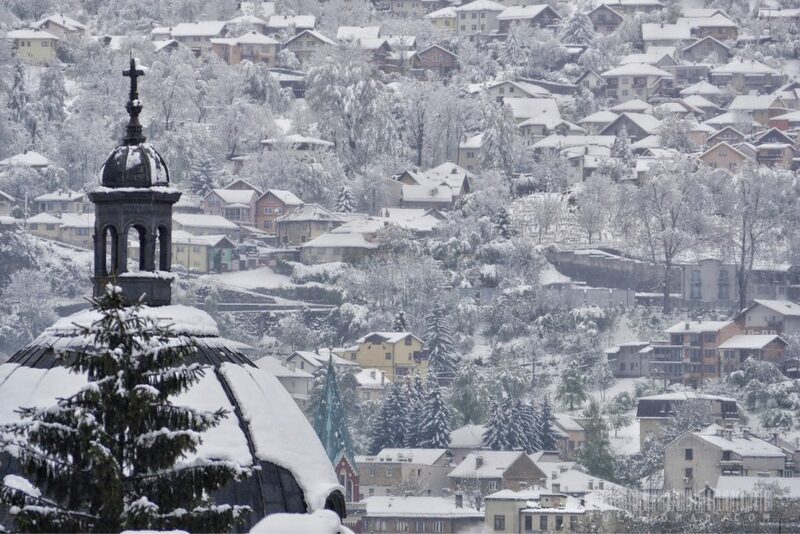 It was cold in Sarajevo, too. Brr. Luckily this was the view from my apartment window, and I had heat. For now, I’m a domestic Steff trying to bridge the gap between the traveller and the homesteader, so that, in 6 or 7 weeks, I can get back out there, uncovering the history of Sicily before crossing the Mediterranean to experience the ancient northern edge of the Sahara in Tunisia. And then? Who knows. 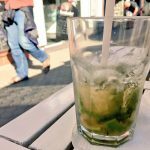 For that’s the life of a nomad – a little bit figured out, but a lot not. And when it all gets too much, I just need to close my eyes and remember all the “from whence” I’ve come of late – a crazy mental whirlwind that probably less than 1% of the planet will ever experience first-hand. This, too, I must remember. I am that rare, blessed soul who understands how this life feels – both the good and the bad. What a ride. Happy anniversary to me. And please “like” my videos, if you can, and subscribe to my channel! Much appreciated!